Y-cam Solutions Ltd launched their new External housing for their popular Y-cam wireless surveillance IP cameras at IFSEC 2008, early May, at the NEC Exhibition centre in Birmingham, England. The new outdoor housing units can be used with the Y-cam White, Y-cam Knight and Y-cam Black wireless IP security video cameras. 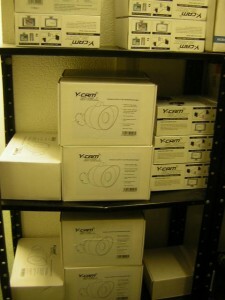 For the last 12 months, Y-cams could only be installed indoors for security monitoring. Now with the launch of the Y-cam external housing units, Y-cams can be installed outdoors allowing a really cost effective outdoor wireless security camera solution. Great news for Remote Alert users who want to online security monitor outside their houses, driveways, offices, factories or business premises., to name a few outdoor security camera situations for Remote Alert users. 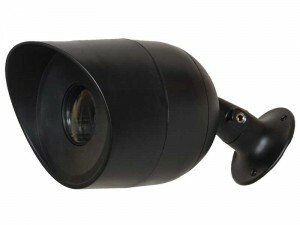 See below a picture of the new outdoor Y-cam housing for their security cameras that was launched in early May 2008 at IFSEC Security Exhibition at Birmingham. 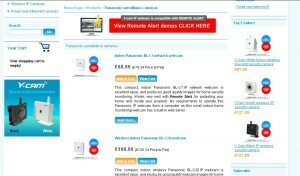 BUY you outdoor wireless Y-cams NOW from our Online IP security camera store. Y-cam manufactures of the very popular indoor wireless IP cams that feature motion detecion and infrared tools have announced that they will be finally launching an outdoor housing for their popular Y-cam Knight camera and Y-cam black camera models. Great news for Remote Alert users who would like to operate outdoor wireless IP cameras to monitor outside their home properties and business properties. Visit Camvista’s online IP network camera store HERE to get detailed specs and prices for the new Y-cam Knight outdoor wireless IP security camera and info and prices about the Y-cam Black outdoor housing network camera with motion detection and infrared. Visit our IP webcam store HERE to view prices for the Y-cam outdoor housings for their new outdoor static IP security cameras. A demo of the Y-Cam Black recording on to your desktop using the record button on the IP Cameras interface.